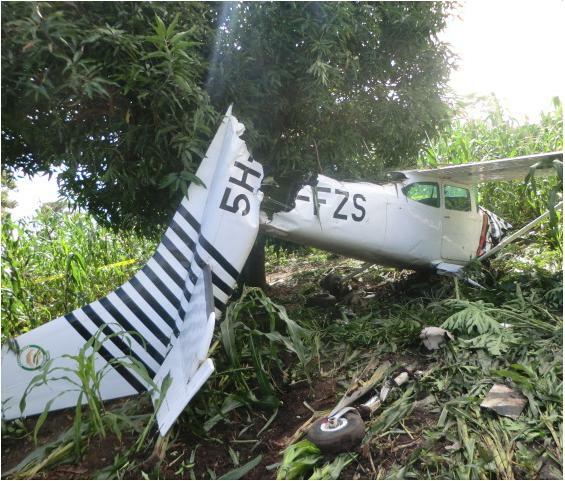 Home Unlabelled TANAPA plane crashes in Katavi, Pilot injured. TANAPA plane crashes in Katavi, Pilot injured. The light-weight aircraft owned by the Tanzania National Parks Authority (TANAPA), crashed on sunday evening in Mpanda district, Katavi region, leaving the solo pilot injured. 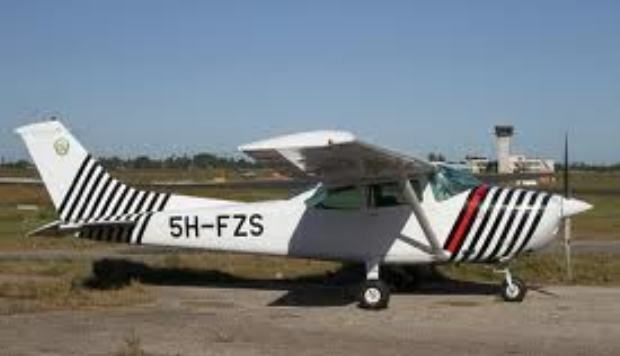 The CESSNA 182G Skylane (Cn: 182-66371 ), registered as 5H-FZS crashed at Nsemlwa village whereby it broke into two pieces shortly after it took-off from the airport in Mpanda. After it crashed: The wreckage of the TANAPA 5H-FZS, Cessna 182G Skylane, Cn: 182-66371. The plane piloted by capt. Adamu Athumani Kajwaa flying from Tabora had one passenger who disembarked at Mpanda airport, shortly before it took off to Katavi National Park. The accident happened 1km away from Mpanda airport. According to authorities,the preliminary investigation shows that the cause of the accident was engine failure while the aircraft was airborne. The pilot was rescued by farmers who were at their farms at the time of the accident. Witnesses say that they saw the plane which was airborne just shut down its engine and it suddenly fell down and crashed nearby a mango tree. They then ran towards the scene to assist only to find that the area was full of swarm of bees that chased them away. However they succeeded to rescue the pilot who got injuries on his face and was spitting blood. The injured pilot was rushed to Mpanda district hospital for treatment and he was then discharged with his condition said to be improving. Before the crash: 5H-FZS, Cessna 182G Skylane, Cn: 182-66371.